It took an epic tournament of ‘Rock, Paper, Scissors’ to decide the winners of Changi Airport Group’s latest annual shopping promotion ‘Be a Changi Millionaire’. As the below video asks: who would make the million dollar move? 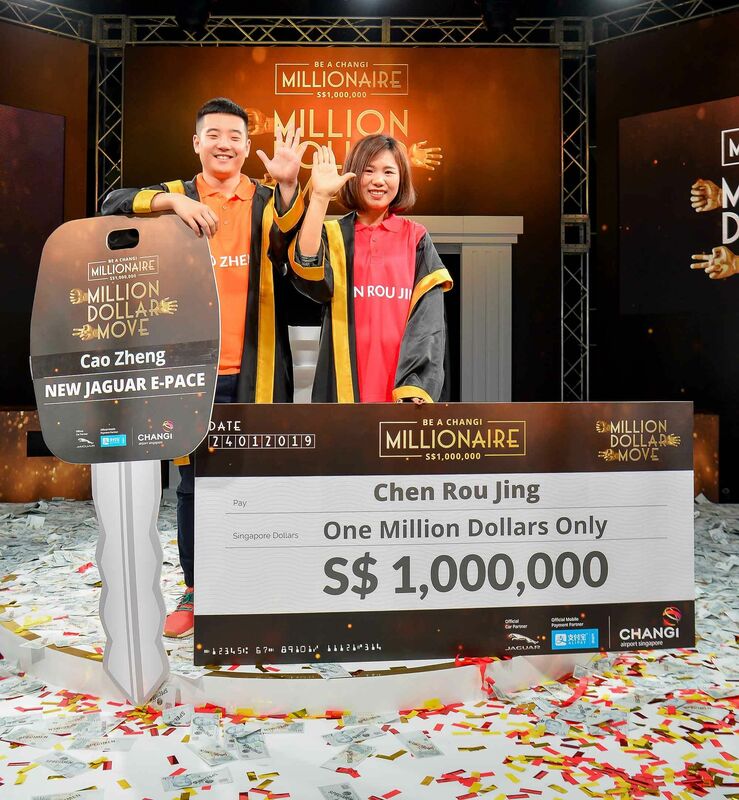 The culmination of the ninth campaign took place at Crowne Plaza Changi Airport, with Chinese national Chen Rou Jing capturing the S$1 million top prize. Another Chinese, Cao Zheng, won a Jaguar E-Pace SUV. Building on this year’s campaign concept, ‘Luck is Everywhere’, 14 finalists competed for the top prizes in games built around luck and chance luck. Ultimately, eight challenged for the million dollars, and six finalists battled for the luxury car. The campaign has again proved to be a big driver of awareness in the shopping and dining offer at Changi Airport. The latest draw received more than 1.4 million entries from 212 countries, with Singapore, China and Indonesia the top three participant nationalities. Wave of good fortune: Cao Zheng (left) and Chen Rou Jing celebrate capturing the two top prizes in the ‘Be a Changi Millionaire’ draw.